Xiao Chen, Kirity Rapuru, Gabriel Campero Durand, and Eike Schallehn. Performance Comparison of Three Spark-Based Implementations of Parallel Entity Resolution. In International Workshop on Big Data Management in Cloud Systems (BDMICS-DEXA) . Springer, September 2018. Ziqiang Diao, Shuo Wang, and Eike Schallehn. Cloud-based Persistence Services for MMORPGs. In The 11th International Baltic Conference on DB and IS (DB&IS2014) , pages 303–314. TUT Press, 2014. Christian Hansen, Stefan Knoll, Veit Köppen, Georg Krempl, Claudia Krull, and Eike Schallehn, editors. Tagungsband der Magdeburger-Informatik-Tage 3. Doktorandentagung 2014 . Otto-von-Guericke-Universität Magdeburg, 2014. Ziqiang Diao, Shuo Wang, Eike Schallehn, and Gunter Saake. CloudCraft: Cloud-based Data Management for MMORPGs. Databases and Information Systems VIII , 270(9):71–84, 2014. Barthel Stefan and Schallehn Eike. The Monetary Value of Information: A Leakage-Resistant Data Valuation. In Workshop on Databases in Biometrics, Forensics and Security Applications (DBforBFS) , BTW-Workshops, pages 131–138. Köllen-Verlag, 2013. Ziqiang Diao and Eike Schallehn. Cloud Data Management for Online Games: Potentials and Open Issues. In BTW Workshop on Data Management in the Cloud (DMC) . Köllen-Verlag, 2013. Accepted for publication. Ziqiang Diao and Eike Schallehn. Towards Cloud Data Management for MMORPGs. In The 3rd International Conference on Cloud Computing and Services Science (CLOSER 2013) , pages 303–308. SciTePress, 2013. Stefan Barthel and Eike Schallehn. MVAL: Addressing the Insider Threat by Valuation-based Query Processing. In Proceedings of the 25th Workshop Grundlagen von Datenbanken (GvD) , page TBA. CEUR-WS, 2013. Sebastian Breß, Eike Schallehn, and Ingolf Geist. Towards Optimization of Hybrid CPU/GPU Query Plans in Database Systems. In Second ADBIS workshop on GPUs In Databases (GID) , pages 27–35. Springer, 2012. Sebastian Breß, Felix Beier, Hannes Rauhe, Eike Schallehn, Kai-Uwe Sattler, and Gunter Saake. Automatic Selection of Processing Units for Coprocessing in Databases. In 16th East-European Conference on Advances in Databases and Information Systems (ADBIS) , pages 57–70. Springer, 2012. Syed Saif ur Rahman, Eike Schallehn, and Gunter Saake. ECOS: Evolutionary Column-Oriented Storage. Technical Report FIN-03-2011, Department of Technical and Business Information Systems, Faculty of Computer Science, University of Magdeburg, 2011. Syed Saif ur Rahman, Eike Schallehn, and Gunter Saake. ECOS: Evolutionary Column-Oriented Storage. In In Proceedings of the 28th British National Conference on Databases (BNCOD 2011) , volume 7051 of LNCS , pages 18–32. Springer, July 2011. A. Algergawy, E. Schallehn, and G. Saake. Efficiently Locating Web Services Using A Sequence-based Schema Matching Approach. In 11th ICEIS , pages 287–290, May 2009. P. Schmidt, K. Sattler, and E. Schallehn. Evaluierung von Strategien zur Einhaltung von Antwortzeitgarantien in DBMS. In BTW-Workshop Database as a Service, Münster, Germany , 2009. to appear. A. Algergawy, E. Schallehn, and G. Saake. Improving XML Schema Matching Performance Using Prüfer Sequences. Data and Knowledge Engineering , 68(8):728–747, August 2009. A. Algergawy, R. Nayak, E. Schallehn, and G. Saake. Supporting Web Service Discovery By Assessing Web Service Similarity. In 13th East-European Conference on Advances in Databases and Information Systems (ADBIS-2009) , Sept. 2009. A. Algergawy, E. Schallehn, and G. Saake. Fuzzy Constraint-based Schema Matching Formulation. In 11th BIS Workshop-ADW 2008 , pages 141–152, Innsbruck, Austria, May 2008. CEUR Workshop Proceedings, Vol. 333. A. Algergawy, E. Schallehn, and G. Saake. Combining Effectiveness and Efficiency for Schema Matching Evaluation. In First International Workshop on Model-Based Software and Data Integration - MBSDI 2008 , volume 8 of CCIS , pages 19–30, Berlin,Germany, April 2008. A. Algergawy, E. Schallehn, and G. Saake. A Prüfer Sequence-based Approach for Schema Matching. In BalticDB&IS2008 , pages 205–216, Tallinn, Estonia, June 2008. A. Algergawy, E. Schallehn, and G. Saake. A Sequence-based Ontology Matching Approach. In 18th European Conference on Artificial Intelligence Workshops C&O 08 , pages 26–30, Patras, Greece, July 2008. A. Algergawy, E. Schallehn, and G. Saake. A Schema Matching-based Approach to XML Schema Clustering. In 10th International Conference on Information Integration and Web-based Applications & Services (iiWAS2008) , pages 131–136, Linz, Austria, Nov. 2008. ACM Publisher. A. Algergawy, E. Schallehn, and G. Saake. Fuzzy Constraint-Based Schema Matching Formulation. Scalable Computing: Practice and Experience, (Special Issue: The Web on the Move) , 9(4):303–314, 2008. Alsayed Algergawy, Eike Schallehn, and Gunter Saake. A New XML Schema Matching Approach Using Prüfer Sequences. In Proceedings International Baltic Conference on Databases and Information Systems (DB&IS) , volume 187 of Frontiers in Artificial Intelligence and Applications , pages 217–228, 2008. M. Lühring, K. Sattler, E. Schallehn, and K. Schmidt. Autonomes Index Tuning – DBMS-integrierte Verwaltung von Soft Indexen. In Datenbanksysteme in Business, Technologie und Web (BTW2007) , pages 152–171, 2007. M. Lühring, K. Sattler, K. Schmidt, and E. Schallehn. Autonomous Management of Soft Indexes. In Proceedings of the 23rd International Conference on Data Engineering Workshops, ICDE 2007, 15-20 April 2007, Istanbul, Turkey , pages 450–458, 2007. A. Algergawy, E. Schallehn, and G. Saake. A Unified Schema Matching Framework. In Grundlagen von Datenbanken , pages 57–61, Bretten, Germany, 2007. A. Reckhemke and E. Schallehn. Combining Index Structures for application-specific String Similarity Predicates. In Grundlagen von Datenbanken , pages 125–129, 2006. K. Sattler, I. Geist, and E. Schallehn. Concept-based Querying in Mediator Systems. VLDB Journal , 14(1):97–111, 2005. M. Körbs and E. Schallehn. Konzepte zur Datenqualitätssicherung in analytischen Anwendungen. In 17. Workshop ``Grundlagen von Datenbanken'', Wörlitz (17.05.–20.05.05) , pages 68–72. Institut für Informatik, Universität Halle-Wittenberg, 2005. K. Sattler, E. Schallehn, and I. Geist. Towards Indexing Schemes for Self-Tuning DBMS. In ICDE Workshop on Self-Managing Database Systems, SMDB 2005 , 2005. K. Sattler, E. Schallehn, and I. Geist. Autonomous Query-driven Index Tuning. In Proc. Int. Database Engineering and Applications Symposium (IDEAS 2004), Coimbra, Portugal , pages 439–448, July 2004. Eike Schallehn. Efficient Similarity-based Operations for Data Integration . Dissertation, University of Magdeburg, Germany, March 2004. H. Höpfner and E. Schallehn. Anfragegeneralisierung zur komprimierten Repräsentation von Indexen semantischer Caches auf mobilen Endgeräten. In H. Höpfner and G. Saake, editors, Beitragsband zum Workshop Grundlagen und Anwendungen mobiler Informationstechnologie, 23./24. März 2004 in Heidelberg , number 4/2004 in Preprints der Fakultät für Informatik, pages 63–70, Magdeburg, February 2004. Otto-von-Guerick-Universität Magdeburg. Eike Schallehn, Kai-Uwe Sattler, and Gunter Saake. Efficient Similarity-based Operations for Data Integration. Data and Knowledge Engineering , 48(3):361–387, 2004. M. Karnstedt, K. Sattler, E. Schallehn, and M. Endig. Ad-Hoc Integration in schema-basierten P2P Systemen. In GI-Workshop Dynamische Informationsfusion, Ulm, Deutschland , 2004. E. Schallehn, I. Geist, and K. Sattler. Supporting Similarity Operations Based on Approximate String Matching on the Web. In On the Move to Meaningful Internet Systems 2004: CoopIS, DOA, and ODBASE, OTM Confederated International Conferences, Agia Napa, Cyprus, Proceedings , volume 3290 of Lecture Notes in Computer Science , pages 227–244. Springer, 2004. S. Apel and M. Plack. Komponenten einer Middleware-Plattform für Mobile Informationssysteme. In H. Höpfner, G. Saake, and E. Schallehn, editors, Tagungsband zum 15. GI-Workshop Grundlagen von Datenbanken 10.-13. Juni 2003, Preprint Nr. 06/2003 , pages 93–97, Tangermünde, Sachsen-Anhalt, Deutschland, May 2003. Fakultät für Informatik, Universität Magdeburg. S. Apel and T. Leich. Einsatz von Aspektorientierung und Programmfamilien bei der Entwicklung von Datenbank-Management-Systemen. In H. Höpfner, G. Saake, and E. Schallehn, editors, Tagungsband zum 15. GI-Workshop Grundlagen von Datenbanken 10.-13. Juni 2003, Preprint Nr. 06/2003 , pages 103–107, Tangermünde, Sachsen-Anhalt, Deutschland, May 2003. Fakultät für Informatik, Universität Magdeburg. H. Höpfner, G. Saake, and E. Schallehn, editors. Tagungsband zum 15. Workshop über Grundlagen von Datenbanken, 10.-13. Juni 2003, Tangermünde, Sachsen-Anhalt, Germany , number 6, Tangermünde, Germany, May 2003. Fakultät für Informatik, Universität Magdeburg. K. Sattler, I. Geist, and E. Schallehn. Concept-based Querying in Mediator Systems. Technical Report 2, Dept. 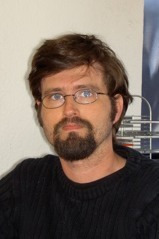 of Computer Science, University of Magdeburg, 2003. K. Sattler, I. Geist, R. Habrecht, and E. Schallehn. Konzeptbasierte Anfrageverarbeitung in Mediatorsystemen. In G. Weikum, H. Schöning, and E. Rahm, editors, Proc. BTW'03 - Datenbanksysteme für Business, Technologie und Web, Leipzig, 2003, GI-Edition, Lecture Notes in Informatics , pages 78–97, 2003. K. Sattler, I. Geist, and E. Schallehn. QUIET: Continuous Query-driven Index Tuning (Software Demonstration). In Johann Christoph Freytag, Peter C. Lockemann, Serge Abiteboul, Michael J. Carey, Patricia G. Selinger, and Andreas Heuer, editors, VLDB 2003, Proceedings of 29th International Conference on Very Large Data Bases, September 9-12, 2003, Berlin, Germany , pages 1129–1132. Morgan Kaufmann, 2003. E. Schallehn and K. Sattler. Using Similarity-based Operations for Resolving Data-level Conflicts. In A. James, B. Lings, and M. Younas, editors, Advances in Databases, 20th British National Conf. on Databases, BNCOD 20, Coventry, UK, July 2003 , volume 2712 of Lecture Notes in Computer Science , pages 172–189, Berlin, 2003. Springer-Verlag. I. Geist, T. Declercq, K. Sattler, and E. Schallehn. Query Reformulation for Keyword Searching in Mediator Systems. Technical Report 8, Fakultät für Informatik, Universität Magdeburg, 2003. E. Schallehn, K. Sattler, and G. Saake. Extensible and Similarity-based Grouping for Data Integration emphPoster paper. In Rakesh Agrawal, Klaus Dittrich, and Anne H.H. Ngu, editors, 8th Int. Conf. on Data Engineering (ICDE), 26 February - 1 March 2002, San Jose, CA , page 277, 2002. E. Schallehn, I. Schmitt, and N. Schulz. Visual Retrieval for Searching in a LostArt Metasearch Engine System. In Int. Workshop on Electronic Imaging & Visual Arts (EVA'02), November 6-8, Berlin . GFaI, 2002. K. Sattler, E. Schallehn, I. Schmitt, and N. Schulz. Das Projekt LostArt.de – Eine Internet-Datenbank für Kulturgutverluste. In Magdeburger Wissenschaftsjournal , number 2, pages 11–18. 2002. M. Endig, T. Herstel, E. Schallehn, and Z. Sera. An Approach for Semi-Automatic Derivation of XSLT Information Based on DTD Descriptions. In Proceeding of the Fifth East-European Conference on Advances in Databases and Information Systems (ADBIS'2001), September 25–28 , Vilnius, Lithuania, September 2001. K. Sattler and E. Schallehn. A Data Preparation Framework based on a Multidatabase Language. In M. Adiba, C. Collet, and B.P. Desai, editors, Proc. of Int. Database Engineering and Applications Symposium (IDEAS 2001) , pages 219–228, Grenoble, France, 2001. IEEE Computer Society. E. Schallehn, K. Sattler, and G. Saake. Extensible Grouping and Aggregation for Data Reconciliation. In Proc. 4th Int. Workshop on Engineering Federated Information Systems, EFIS'01, Berlin, Germany , pages 19–32, 2001. E. Schallehn, K. Sattler, and G. Saake. Advanced Grouping and Aggregation for Data Integration. In Proc. 10th International Conference on Information and Knowledge Management, CIKM'01, Atlanta, GA , pages 547–549, 2001. M. Endig, P. Mutschke, and E. Schallehn. Integration strukturierter und semi-strukturierter Datenquellen am Beispiel bibliographischer Referenzsammlungen. In 5. Workshop Föderierte Datenbanken (FDBS 2001), Berlin , 2001. E. Schallehn and M. Endig. Integration von Internetdatenbanken mit eingeschränkten Anfragemöglichkeiten. In G. Saake and K. Sattler, editors, Tagungsband zum GI-Workshop Internet-Datenbanken , Preprint Nr. 12, Fakultät für Informatik, Otto-von-Guericke-Universität Magdeburg, pages 87–93, September 2000. E. Schallehn and M. Endig. Using Source Capability Descriptions for the Integration of Digital Libraries. In H.-J. Klein, editor, Tagungsband 12. GI-Workshop Grundlagen von Datenbanken , volume 2005, pages 86–90, Institut für Informatik und Praktische Mathematik, Christian-Albrechts-Universität Kiel, June 2000. E. Schallehn, M. Endig, and K. Sattler. Citation Linking in Federated Digital Libraries. In M. Roantree, W. Hasselbring, and S. Conrad, editors, Proc. 3nd Int. Workshop on Engineering Federated Information Systems, EFIS'00, Dublin, Ireland, June , pages 53–60, Berlin, 2000. Akadem. Verlagsgesellschaft. E. Schallehn, M. Endig, and K. Sattler. Integrating Bibliographical Data from Heterogeneous Digital Libraries. In Proc. of Challenges – Symposium on Advances in Databases and Information Systems (ADBIS-DASFAA 2000), Prague, Czech Republic, September 5-8, 2000 , pages 161–170, 2000. M. Endig, M. Höding, G. Saake, K. Sattler, and E. Schallehn. Federation Services for Heterogeneous Digital Libraries Accessing Cooperative and Non-cooperative Sources. In Proceedings of Kyoto International Conference on Digital Libraries: Research and Practice . IEEE Computer Society Press, 2000. Eike Schallehn. Untersuchungen zur Realisierung von EDM-Systemen auf der Basis von ODBMS. Master thesis (diplomarbeit), University of Magdeburg, Germany, 1996. In german. E. Schallehn. Entwurf, Implementierung und Erprobung einer datenbankorientierten Softwarelösung zur Verwaltung von Dokumenten am Beispiel der Zeichnungsverwaltung, 1995.